A report by New Telegraph indicates that some North-central political leaders have concluded arrangements to float a new political party that will be dominated by the people of the region. According to the report, the move was because prominent politicians in the region feel short-changed by the dominant parties in the present dispensation and have decided to give their people a platform that truly represents them. The party has since been on the periphery but as a socio-cultural organisation established five months ago. The organisation has been used basically for the propagation of its ideology, mission statement and vision which are all geared towards the political emancipation of the North-central region. 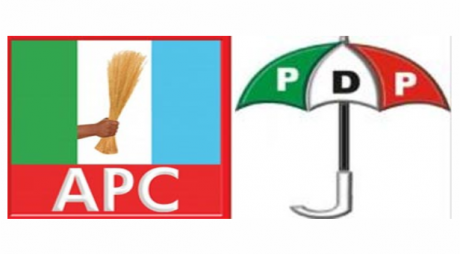 The new party has since undergone necessary clearance at the Corporate Affairs Commission and the Independent National Electoral Commission (INEC), although it’s new n ame is still been kept under wraps. The report however stated that the new party will soon be unveiled as soon as all registration formalities have been concluded by its leaders. A member of the founding committee of the party who spoke under the condition of anonymity, said the essence of forming the party was to give the people of the region an opportunity to pursue their political aspirations under one political platform. His words: “We want to contribute our fair share to the political, economic and socio-cultural development of this country. We don’t want to rely on our past glory; we want to be able to determine our political future in Nigeria. “Today, when it comes to elections, most zones vote with one voice. Even though we don’t like that strategy, we don’t want to be taken for granted by any group or region. “We have no umbilical attachment anywhere; any attachment we have to any region is purely historical and in this internet age. “North Central is mobilising all its intellectual minds to rise up to the challenge of defining our political future. We started meetings and consultations in July and so far, state chapters are already in place. “At the moment, we have 10 strategic committees working on various areas such as: Contact and Mobilisation, Finance, Investment and Economic Development, Legal Matters, Research and Planning, Socio-Cultural Integration, Security, Women, Youth and People Living With Disabilities. We are drawing our membership from everywhere across party lines. The source added: “North-central is very much aware of its political value in the Nigerian polity. By our geographical location and culture, we are strongly linked to all political zones in the country. Meanwhile, former military head of state, General Yakubu Gowon (rtd) has revealed that the reason the administration of President Muhammadu Buhari is having problem is due to corruption. Gowon made the statement at the Northern Nigeria Stakeholders’ Town Hall Engagement at Arewa House in Kaduna recently, adding that the deterioration of the quality of infrastructure, healthcare delivery among others in the country was due to corruption.